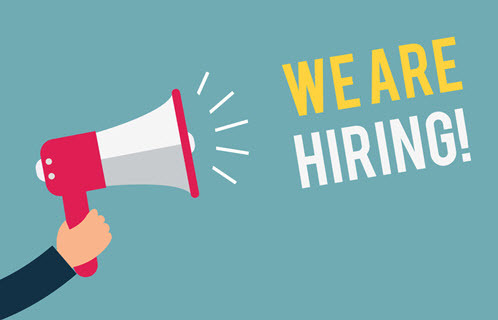 Mini Price Storage is rapidly growing and seeking full-time Sales Staff for our local self-storage facilities to assist customers and help achieve team goals. Our top priority is customer satisfaction. We have a great team of friendly and helpful people that will train and mentor you. We are rapidly growing and have excellent growth opportunities within the company. We offer competitive base pay as well as benefits that include a 401-k company match, group medical/dental/vision/life insurance, paid time off, and bonus program. The ideal candidate must be outgoing and friendly, with excellent verbal communication skills in order to provide outstanding customer service. Work schedule varies, including weekends. Prior marketing, sales, property management, hospitality, or retail experience is a plus. We are an Equal Employment Opportunity employer and maintain a drug-free environment. All applicants may be subject to background checks. Mini Price Storage, an experienced storage operator and developer, is currently searching for candidates in the Hampton Roads area who have an entrepreneur spirit and can “Fast Track” to a management position through intense training and support our efforts to increase occupancy and rental revenue at our storage facilities through sales leadership, managing operations, networking in the community, and providing exceptional customer service to our clients as we continue to grow. This is a vital, hands-on role in the company’s first line of contact with clients. It involves direct personal interaction with current and prospective clients. The position will rely on your enthusiasm and willingness to take the initiative, talent at generating new business from consumer and commercial clients, and aptitude at working independently with minimal direction. Success of the prospective candidate will be predicated upon their leadership and ability to contribute measurable results to the company’s success and profitability. You must be dedicated, hard-working and a team player, able to work comfortably in a fast-paced environment. The role requires coordination with the Area Manager, senior management team, site staff, and the call center. The position will report directly to the Area Manager but will also interact with other members of the senior management team and business owners. We offer a competitive salary and benefits package. Prior property management, hospitality, or retail experience is a plus. Work schedule varies, including evenings and weekends. Candidate must be willing to relocate to properties in other geographical areas as they are developed. Actively participate in all day-to-day activities focused on renting storage spaces to attain occupancy and revenue goals. Interact directly with clients and address their specific storage needs. Ensure that the property and all amenities are maintained to the highest standards. Provide excellence in customer service through advanced selling techniques. Prepare monthly staff work schedules. Manage accounts receivable and collection process. Ensure timely delivery of all required facility activity reports to management. Prior experience managing sales and operations as well as multiple employees for a client-focused service industry or environment (i.e., retail, banking, hospitality, food service, property management, etc.). Experience in marketing and sales with proven track record. Must be outgoing, friendly, with excellent verbal communication skills. Professional appearance, demeanor, and conduct. We are an Equal Employment Opportunity employer and maintain a drug-free environment. All applicants may be subject to background checks. Please reply to this ad and attach resume with salary requirements.